I was honored with a brief visit yesterday by previous resident Steve Ainsley. Locals will remember Steve as the publisher of the TimesDaily back in the late '80s, and proceeded to eventually become publisher of the Boston Globe. He and his artist wife Ann have recently retired to Santa Barbara. Steve is on a whirlwind driving/visiting/camping tour of the US. 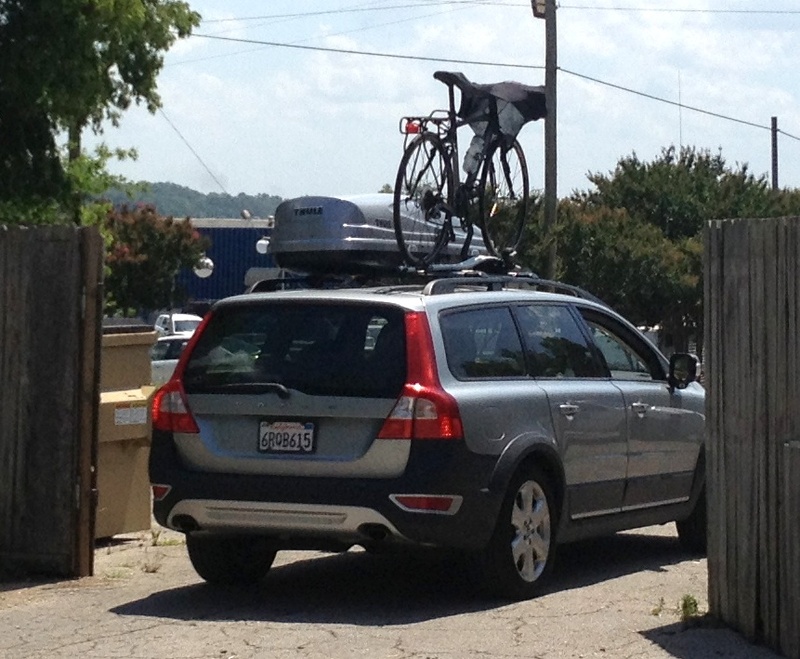 He pulled up in his Volvo with bike mounted on top and camping gear, and several pairs of running shoes plus plus, crammed in the back. It appeared that he had zero room left, but we somehow managed to force a couple of small RWF pieces to add to his and Ann's growing collection. We visited over lunch @ the new fab downtown Thai restaurant "Yumm". He couldn't have been more impressed with his sushi lunch and the super cool interior and vibe. Steve was instrumental in leading our community in a progressive and thoughtful direction decades ago. Although he and Ann are firmly grounded in Santa Barbara, I planted the seed of taking on some type of advisory role for the community's continued supercool growth and direction. His only comment is that we were doing just fine without his help. I'm thinking we could do even "finer" with it! I have a feeling Florence will be seeing more of Steve now that, for maybe the first time, he has time on his hands. As everyone who knew Steve from our past, don't be a stranger! We'd like to become your home away from (your new beautiful) home.